This page will help you discover what eighth graders are expected to learn and what 8th grade homeschool curriculum will help them most to succeed this year and prepare them for high school. Eighth grade brings a critical transition for all children, whether homeschooling or not. Your child should graduate from elementary studies to more mature studies. This means they are thinking more about their future and what they might like to do as a career later in life. This is the last year before entering high school, so it is important that your child start thinking about the future and learning more responsibly. Grades start to really matter from this year on throughout high school. Make sure you are meeting all responsibilities as a homeschool in your state, but continue to personalize your lesson plans to your child’s interests and personalities. Eighth grade is a time of transition for students in social, physical and academic areas. This combination of various factors can make the eighth grade year challenging, but if you have given your student a good foundation through homeschooling, they will be ready to hit the ground running. Especially in regard to academics, students will need to realize that their current academic performance is setting them up for the academic track they will follow at least through the beginning of high school. If they do well in eighth grade, this will give them a strong foundation headed into the more rigorous high school years. As you teach your eighth grader, much of your focus should go towards academics in order to improve your child’s placement in ninth grade. In a public school, once a student is placed on a particular academic track as a freshman in high school, it can be difficult to move to a more skilled track later in high school. The advantage of homeschooling is that you can change directions quickly if you sense your child is ready for more. Be alert to these needs throughout the eighth grade year. In Math, you should make sure your eighth grader is comfortable with foundational math concepts. This would be a good time for their first exposure to some of the algebra and geometry concepts that will be excellent building blocks for much of the math they will do in high school. On the social side, eighth graders should be learning to work and play well with others. Their friendships may change to some degree, and they will experience an increasing desire for independence. They will look forward to other social challenges as well. Because you are homeschooling, you may not experience as many interpersonal challenges with your child and other eighth graders, but you should also make sure he or she knows how to interact well with their peers. A big part of helping homeschool students develop these important skills is encouraging them to develop a mindset that inspires them to get up and get moving. Many students are content with doing the minimum amount of work possible, but this attitude will just cause them to struggle more once high school beings. You should attempt to inspire them to new heights! Read and study the Constitution of the U.S.
An especially important skill for eighth graders to begin to practice is study and time management skills. It will be much easier for students to practice these organizational and planning skills before their work gets too complex and pressurized in high school. If they develop these basic habits right now, they will be well-served when the work gets harder. As a homeschool parent, you should also help your student learn how to make decisions about how he or she will spend the time they do have. This will become magnified in high school as well, so make sure your child develops this important skill now. Eighth grade is also a great time for students to begin studying a foreign language – in most cases that language will be Spanish or French. This is another area where laying a good foundation is critical to success as your child becomes more and more proficient with the language. Try to get your child more comfortable speaking out loud and communicating with others while in this grade. Rather than giving paper tests all the time, ask them questions and have them verbally express their answers. Engage them on their personal beliefs and thoughts, rather than following the textbook all the time. It is important for your child to be a proficient reader by the end of the eighth grade. They will struggle with high school academics if they are unable to comprehend everything they read, including more complex texts. Eighth graders may not work with spelling word lists, but they should continue to develop a more complex vocabulary. This typically comes through reading and understanding more complex texts. Try to incorporate events happening in the news when you design your lesson plans for your eighth grader. At this age, students are looking into the world and are very alert to what is happening around them. They may feel insecure or sad when bad things happen, and they may notice things related to the economic climate and their personal lives. These things directly impact their world, so you can tie social studies and science experiments and topics of discussion to what is happening in the real world. This makes it real to them, and they are more likely to understand and remember what is being taught. Start preparing your child for high school as early as possible. They will start getting anxious to take driver’s education and gain more freedom, so it may be difficult to keep them focused on their studies. This is where parenting and homeschooling may turn more difficult, but it is worth it in the long run to keep your budding teenager focused and on track. Alpha Omega Switched on Schoolhouse — Eighth graders should be encouraged to be independent using this program. It also teaches them to manage their work using the built-in lesson and assignment planner which will become increasingly important as they move into high school and college level courses over the next few years. Alpha Omega LifePacs –This comprehensive mastery learning program can easily be used as an independent curriculum at this age. Sonlight — Sonlight’s core options for 8th graders integrate history, English and language arts into one challenging program. Apologia Science — Middle school programs through Apologia are a great way to prepare your student for more difficult high-school level science courses. Saxon Math Algebra 1/2 — A great math program to prepare students for their high school math courses. Teaching Textbooks — For the child who is less enthusiastic about math, this is a great option. We would suggest the package that includes both the CD-Rom AND the worksheets for best results. 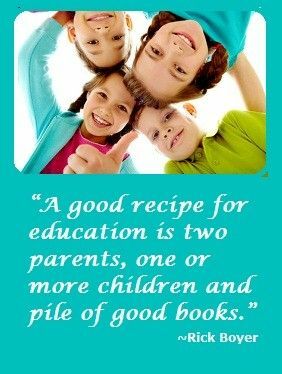 These resources are books, magazines and websites that give you more information about homeschooling your child. Take advantage of these resources! This publication comes out every other month and provides you with in-depth interviews, stories, articles, and columns about both the challenges and joys of homeschooling your children. Homeschool Central is a publication that provides important resources to homeschooling families. This is a good place to start if you are looking for a support group in your area. The HSLDA is a nonprofit advocacy association that gives legal perspectives and advice to parents who homeschool their children. 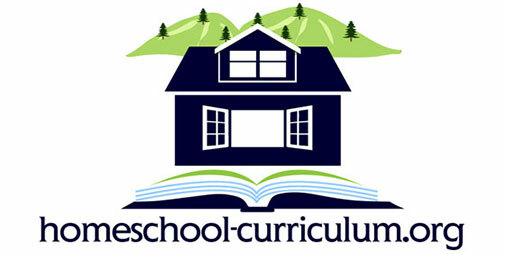 HSLDA provides valuable information on each state’s homeschooling guidelines. If you need to know more about any homeschooling legal issues that might pop up in your state, you can also look at the “My State” page of their website. NHERI is a great repository of statistics and facts about homeschooling. Check here if you need any statistical information to make your case for the benefits of homeschooling. Classical Homeschooling Magazine is a free online publication that focuses on the basics of classical homeschooling, including the Great Books movement, the Socratic Method and poetic knowledge. Home educator and literature professor Susan Wise Bauer, along with her mother, wrote this detailed guide to homeschooling in the classical tradition. We hope these resources for an 8th grade homeschool curriculum are helpful to you. You will find lots of good information at the various links, and the general objectives on this page should give you a good idea of where your student needs to be by the time he or she finishes eighth grade. While every state is slightly different in respect to the standards they expect, if you follow the guides above, you should be in good shape as your student heads into high school. We know you will find success as you begin to work your way through these 8th grade homeschool curriculum exercises and resources – start today! I was wondering by your question if you were asking for the requirements are for the state of North Carolina, or did you have a question about curriculum programs? Happy to help! Let us know how we can direct you. We started homeschooling our daughter in 5th grade. The first year we did SOS for all subjects except math. For math we used Teaching Textbooks, but now use SOS for math as well. She loves it. Very good for students who are good at independent learning and are self motivated.